Now your little girl can be swaggy too! 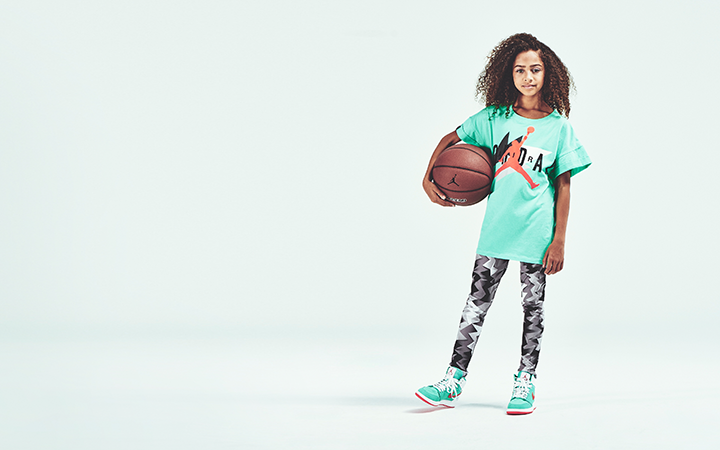 Jordan Brand has recently announced that starting in 2015, select grade school footwear offerings will be available in sizes extending up to a U.S. 9.5Y. “We kept hearing feedback that, despite the desire for it, girls couldn’t fit into our products. 12-year-olds would find a grade school version of a shoe they liked, only to find out they were already two sizes too big,” said David Schechter, VP of Footwear for Jordan Brand. 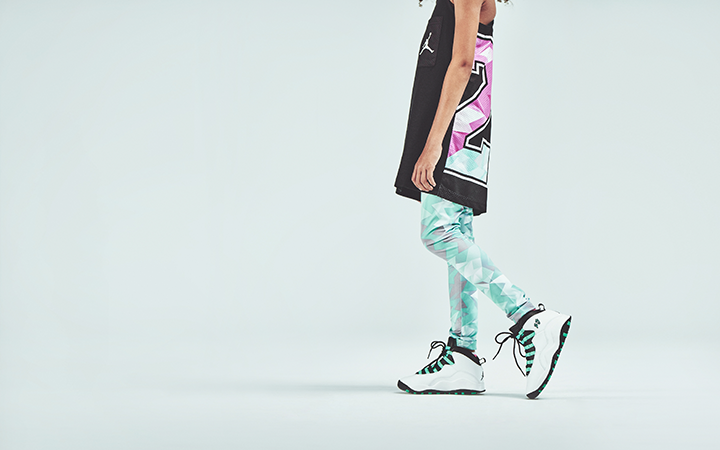 The Jordan Brand design team has created a line that caters and accommodates girls who love the brand. The extended line will feature bold and bright colors of classic Air Jordan silhouettes, as well as new styles. The first releases include a black and fuchsia flash colorway of the Air Jordan IV and a black Jordan Future with vivid accents on the midsole. Additional spring releases will include several vibrant colorways of Air Jordan I and Air Jordan VII to complement the rest of the Jordan Brand product line-up. 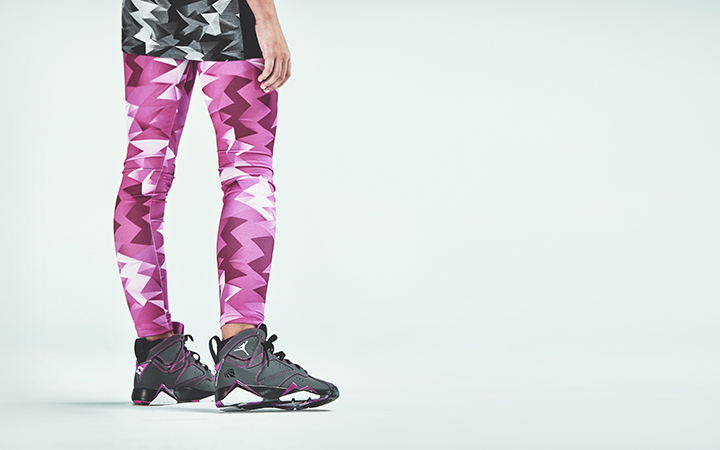 Aww that's such a cute look for little athletic girls.